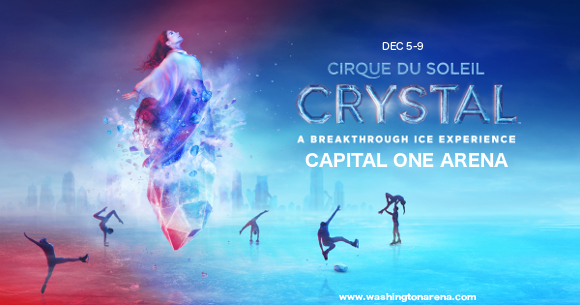 Winter excitement is brewing at the Capital One Arena, as preparations are underway for Cirque du Soleil: Crystal!! This all-new show from the revered New York circus company is the first of its kind: an exhilarating circus experience on ice! Book your tickets to this once-in-a-lifetime experience on Thursday 6th December 2018 and prepare for a stunning show that will stay with you forever! Get ready to experience this genre-defying spectacle for yourself – get your tickets to see Cirque du Soleil: Crystal NOW while stocks last! !